The Arizona Diamondbacks, leaders in the National League West Division, will go for a 24th home victory of the campaign when they continue their series with the New York Mets. Arizona leads the Los Angeles Dodgers by 2.5 games in the Division with both teams winning eight of their last 10 outings. Friday the Diamondbacks were too strong for the visitors as they ran out 7-3 winners at Chase Field. Zack Godley (7-5) struck out eight over 6 2-3 innings on his way to the win. The Arizona starter allowed two runs on five hits and three walks to avenge his loss to the Mets at Citi Field in New York in mid May. Saturday Patrick Corbin and Steven Matz get the call for the Diamondbacks and Mets respectively. Corbin was rocked last time out at home by the Pittsburgh Pirates as the 28-year left-hander allowed five runs to the visiting Bucs. 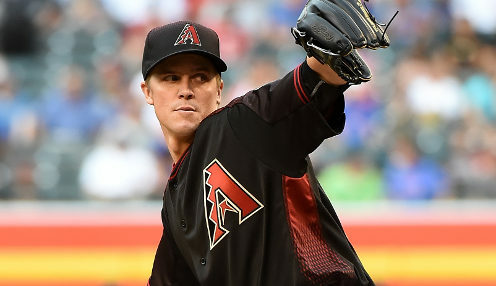 However Arizona was strong offensively that day as the Diamondbacks eased to a 9-5 triumph. Arizona currently is nine games over .500, but this is also a team that lost 13 of 14 over one particular stretch in May, including being swept by the Mets in the aforementioned series in New York. Monday the Diamondbacks open a 10 game road swing that will take in the Los Angeles Angels in Anaheim, the Pittsburgh Pirates and the Miami Marlins before heading home at the end of the month to welcome in the San Francisco Giants. The Diamondbacks are 4999/1 to win National League West with the Dodgers 11/4 and the Giants are priced at 4999/1.